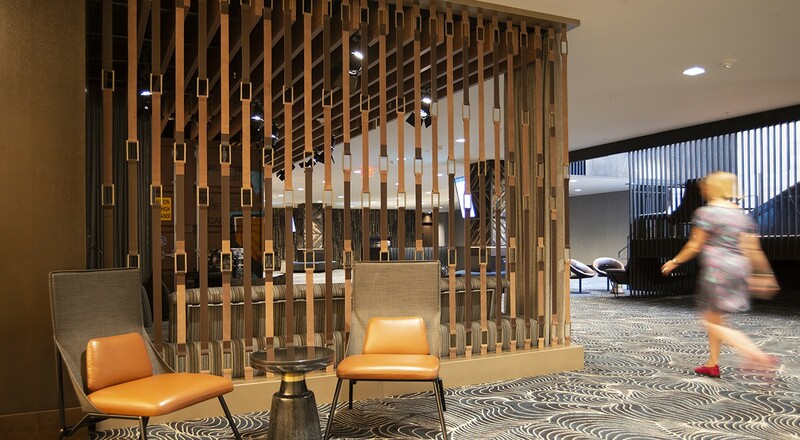 At the Renaissance Hotel in Nashville, Tennessee, a custom screen is created with twenty-six Belting Leather straps. 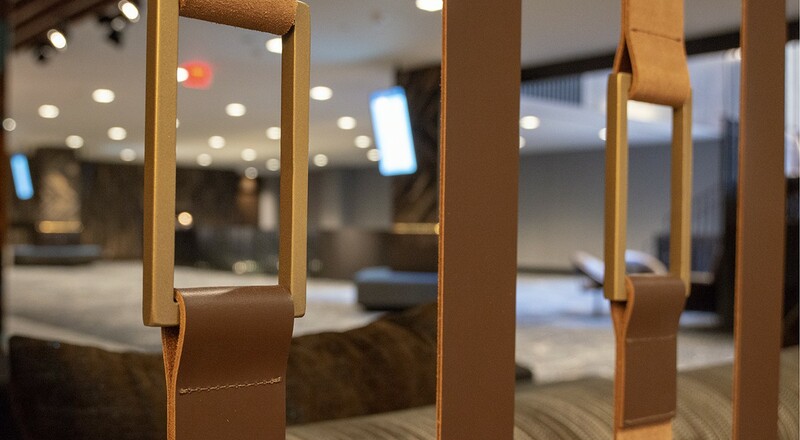 The screen alternates the finished face of the leather with the unfinished sueded side to provide an interesting rhythm of warmth and all-natural texture. 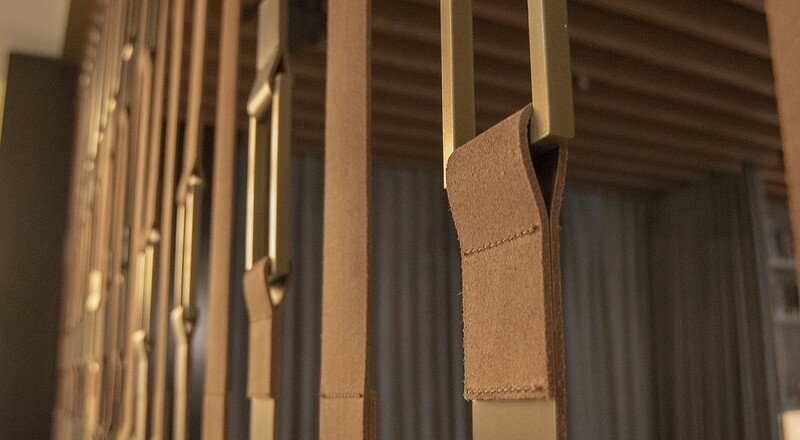 The custom buckles were provided by the installer but the straps were machine stitched to the buckles by Spinneybeck’s in-house fabrication team. For more information on Spinneybeck’s custom capabilities, please visit About Custom.